One of my best days as a Disney fan was the company's purchase of Marvel Comics. I have often joked that all Marvel has to do after the LucasFilm addition is buy the Chicago Cubs and they have all of me. To be fair, I would need them to buy a lacrosse team too! The Marvel purchase has re-energized me in my love of comics, and loving history I have been seeking more and more about Marvel's past. Needless to say, the over 450 pages in Marvel Comics: The Untold Story gave me plenty to think about. 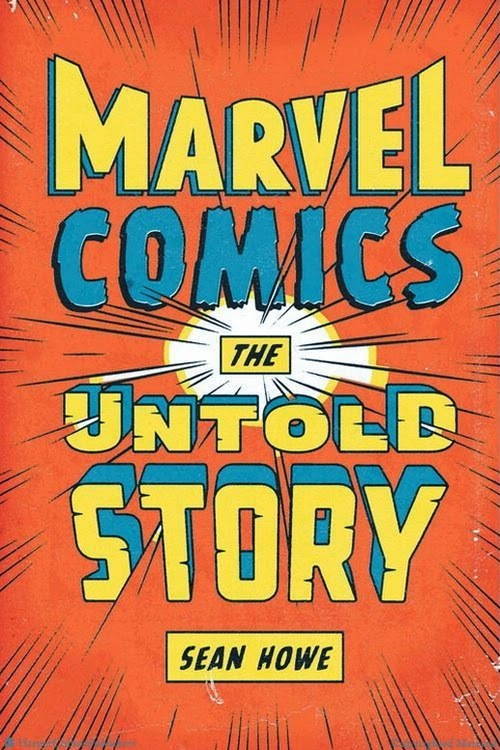 Marvel Comics: The Untold Story by Sean Howe is a history of Marvel Comics from it's creation amongst a world of magazines to the Disney purchase. The story begins with Martin Goodman and his Timely Comics founded in 1939. Goodman liked to change the names of his magazines, comics and companies often, which lead in 1961 to Goodman's comic arm becoming Marvel Comics. It is also in 1961, when Marvel's fortunes were on the rocks that editor-in-chief Stan Lee and artist Jack Kirby introduced The Fantastic Four to the public as Marvel's first real superhero comic. With the success of this super team other new creations followed including Iron Man, Thor, Spider-Man, the Hulk and the super team Avengers. But despite all of the success that this Marvel Age brought the company there were still squabbles over royalties, credit and artistic freedom in the halls of Marvel, which was far from Stan Lee's happy picture of the Marvel Bullpen. With the fortunes of publishing often waning, Lee attempted to lead Marvel into Hollywood attempting to get Marvel characters on television and movies. 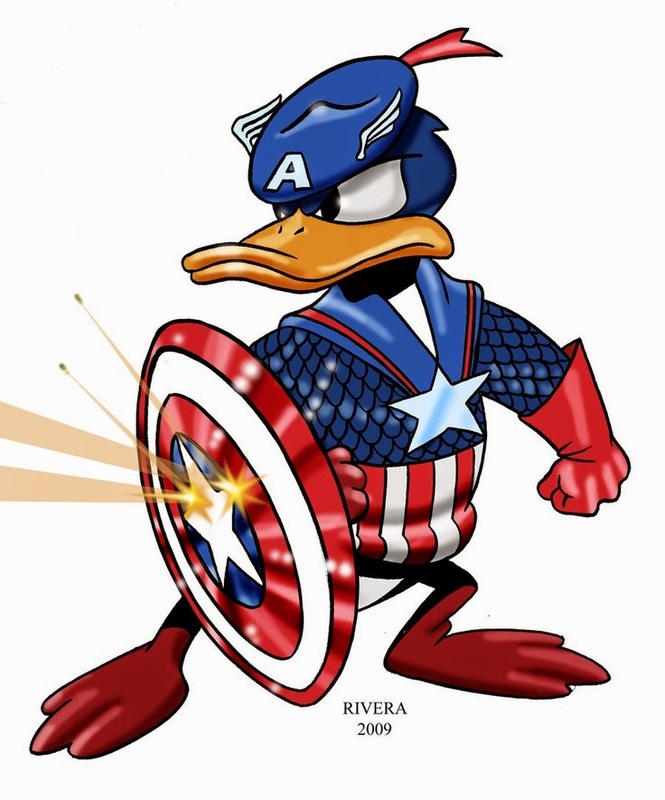 Due to poor creative and business choices, Marvel would become a target of other companies for purchase, eventually with Disney buying Marvel's impressive character catalog. Marvel Comics: The Untold Story is massive. And I have noticed amongst my friends who have read it, no one read it fast. It is dense and full of information, so do not expect to sprint through this very detailed and clear book. This one will take some time, in fact I have been reading it slowly over a few months. I have never seen Mad Men, but this is how I picture it would be. As the company becomes a critical success in the 1960's men in ties work at drafting tables making heroes come alive. However, there is a seedier darker side where creators vie for attention and struggle to get paid. Some of the saddest portions of this text is reading of the relational damage these men did to each other as they fought to make a dollar as contractors and Marvel sought to stay profitable often by shorting the men who brought them stories. This Mad Men was followed by the drug induced images of the 1970's as Marvel's office included many creators enjoying youth and available drugs to explore. Of course, one of the key players in all of this is Stan Lee. Lee wrote the stories, mostly or kinda. He created the Marvel method where he provided artists with outlines, allowed them to draw and then added text afterwards. And he hired and fired the staff. I know that there is much debate about how creative Lee actually was during the Marvel Age and if he rode on the coattails of others like Kirby. And it saddens me to read in these pages of the arguments between the two over creative credit. So as one reads of Lee's move from New York to California to seek Marvel's Hollywood fortune, it comes as no surprise that he abandoned the world of monthly creators to go somewhere that isolated him from the office politics of the New York office. I do feel that Howe portrays Lee correctly, as someone who is not a devil and may have mixed his facts sometimes. But it also appears that he often attempted to give credit to his creative partners and was as upset as them if stories were too Lee-centric. Another aspect I had not considered about Lee was the impact that the work for hire rules had on him. While Marvel paid him well as the face of the company, he also had surrendered royalties to his greatest creations to the company while producing them for Marvel's titles. One aspect that I found intriguing was the long progression to get Marvel comics into film. Lee efforted for years as Marvel stories were in development hell. And he had become familiar with Marvel movies dying before they could enter production. I think today we have become some used to the success of the Marvel Cinematic Universe, that we would not even think to consider that it did almost never happen. I did find myself laughing as one sales director is quoted as saying, "Marvel is not Disney (Howe, 385)." They most definitely are now! Over a decade later they would be. Marvel in that late 90s began to experiment with harder edgier titles like Alias about Jessica Jones. Creators amped up the violence and adult situations attempting to bring in adult paying audiences. I have found it interesting in my own looks at Disney to consider that it is a family entertainment company where Marvel is based on the popularity of action violence. And in many ways while Disney today attempts to use Marvel to bring in young boy audiences, it is the one arm of the company that appears to be able to provide the most edge. Marvel Comics: The Untold Story is a must have for Disney fans who want to know more about all arms of the company and Marvel fans. The tales found within its pages are not as black and white as the color comics that Marvel produces. But it is a story of intrigue and men under pressure that many will be able to enjoy. I really love Frozen, it is a great movie. And I guess most of you enjoy it too! But I also love the funny, especially the funny that calls out the truth. 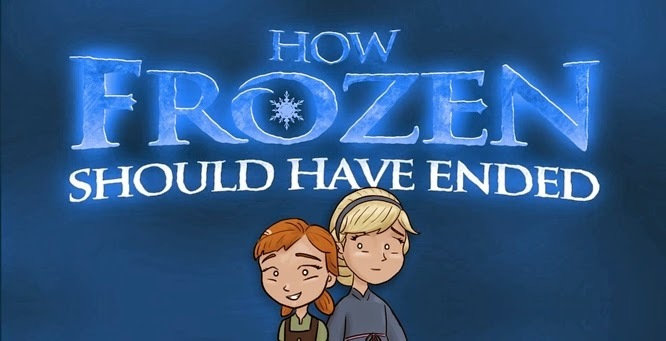 And the satire video "How Frozen Should Have Ended" is a perfect mix of funny and true. You have to love an early morning laugh! What is it like to audition as a performer at Walt Disney World? What is the life of an entertainer in Disney employ, do you work 4 hours a day? These questions and more are answered in All the World's a Disney Stage. 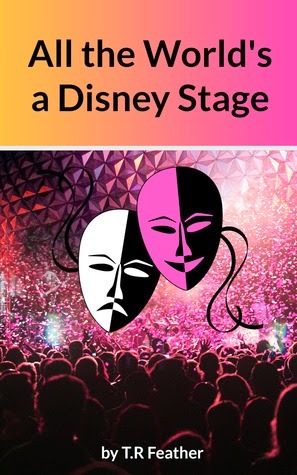 All the World's a Disney Stage: Performing for the House of Mouse by T. R. Feather is a brief memoir and how-to-book discussing one Disney performer's audition and tenure at Walt Disney World beginning in 2011. The text discusses how to audition, the daily life of a Walt Disney World performer, and discussions of the events themselves. Feather shares his own personal observations about what it takes to be a Disney entertainer and how to make it a career. The volume ends with Feather's own observations about his future as a Disney performer. This really is a short volume. The print edition is listed as 108 pages. It is a quick read, I read the Kindle version, and it does not feel like a full 108 pages. One should be able to read this book in an hour or less. The writing is clear, but I often wished Feather would expand on points. There were moments where he would make mention of Disney blogs that covered the topic. I hoped at this point that he had expanded his conversation instead of suggesting looking elsewhere, without a specific suggestion of where to go next. The book would serve of interest for anyone wanting a basic discussion of working in Walt Disney World's entertainment department. Feather makes it clear how exhausting it can be to work a parade and what the long hours of an entertainer are. Additionally, he shows the need for perseverance to land the desired role And for 99 cents there is real value in the shared experience for other's knowledge. And he makes it clear that globally professional entertainers want and seek out Disney roles making landing a position even more difficult. However, I would not recommend $8.99 to read the physical book. I obtained a copy for free. All the World's a Disney Stage takes the reader into the parades and performances that we love. But Feather makes it clear that it is not all fun and games. Being a Disney performer long hour and hard work. But making the magic pays more in satisfaction than dollars. Marvel and Disney this week announced the newest members of Disney Infinity, and it's Marvel right on the heels of the blockbuster Captain America: The Winter Soldier. My thoughts probably match a lot of others. And it is because I think this is very good. First, it has been a long time since we saw a new Play Set added. Phineas & Ferb and Frozen were added as Toy Box only features. It is great you can play these characters, but the Play Sets have all pretty much been played through in my house and we need more. Second, this opens the door to Disney's non-animation properties. Third, as a giant Marvel fan I look forward to adding heroes and villains to the Toy Box mode and entering the Marvel Universe in another way. Finally, these also seems to announce Disney Infinity 2.0 so maybe the software is getting an upgrade. Hey, can I get an Agent Coulson figure? For a few years now I have had Dider Ghez's Walt's People series on my radar. These oral history collections seemed like a good fit with my educational background. So when Theme Park Press asked if I would be interested in reviewing the latest volume I immediately jumped on the the request. But what I did not realize was that a simple book review was a intense journey into Disney's past. 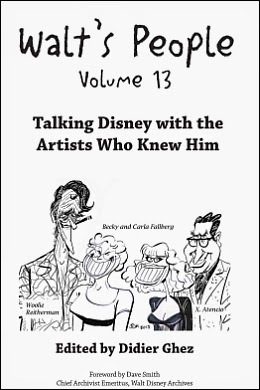 Walt's People Volume 13: Talking Disney with the Artists Who Knew Him edited by Didier Ghez is over 550 pages of oral history. The volume contains 27 separate interviews of former Disney employees in areas ranging from animation, live-action films and Imagineering. There are plenty of voices that Disney fans would recognize from Tony Baxter, Roy E. Disney, Fess Parker, Blaine Gibson, and Don Iwerks. But the interviewers also introduce us to less familiar names like Becky Fallberg and Paul Kenworthy, who while perhaps not commonly known figures shed light into working at Disney in their interviews. Ghez collects the interviews, and his collaborators who interviewed the subjects include well-known Disney historians such as John Canemaker, Michael Broggie, Dave Smith, and Paul F. Anderson. Along with the interviews there are also two essays included. The first on John Parr Miller is written by Canemaker, while the second on John Sibley was completed by Peter Docter. Alright, let me put in my complaint! I really want an index. Yeah, that's it that's my one complaint. That is a pretty weak criticism! I get why it's not there, with over 550 pages of rich text that endeavor itself would be highly time consuming and add considerable length to this alright large book. So I would love one to help ease the searching of the researcher in me. But, I will pick up other volumes without one. Because honestly, these pages are full! I expected to breeze through this book. I will be honest, I was kind of cocky about it. But instead it has taken me four weeks to complete the volume. Quite simply, this is not a vacation book. No this is a fact packed journey, actually journeys, into Disney's past. And even the speech patterns and the vocabulary of the subjects become part of one's reading as you try to get to know these Disney artists in more depth. In short these interviews are treasures and they should not be ran through, one needs to stroll. One of the things I found interesting, and perhaps it was intentional, was reoccurring themes in the book. So for example, early in the book labor relations at the studio and the 1941 animators strike continually resurfaced. And with numerous animation staff discussing the incident, the reader can begin to exam it in other angles. Another reoccurring theme that stood out to me was the True-Life Adventure film series. A reader can walk away from Walt People Volume 13 after reading Roy E. Disney's, Kenworthy's and other interviews the process, time commitment and staging involved with capturing nature on film. I found the Don Iwerks interview extremely exciting, especially since the interviewer Michael Broggie's father was once Iwerks manager and mentor. The interchange is fascinating since they share a common foundation of understanding. And it is highly interesting to read an interview with the son of the man who drew Mickey Mouse. Walt's People Volume 13 confirmed for me this is a series I must complete. But I also know this is not a series to be trifled with. These pages are jam packed with events and perspectives from the viewpoint of artists who lived them. So as one would recommend that you don't rush to your favorite ride in the park you should not rush straight to Tony Baxter without visiting with his other colleagues and their stories also. And as you research your favorite Disney topics, you should expect to look into these volumes to find new insights. Walt's People Volume 13 is a must have in a Between Books library dedicated to Disney history! 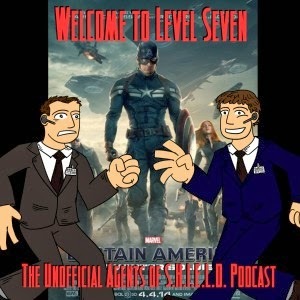 As you know I am a pretty big Marvel Cinematic Universe fan, you know I have a podcast big! Last night my co-host and I recorded our reaction immediately after seeing the movie. 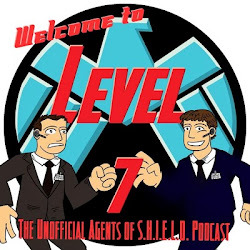 The podcast episode what we liked and did not, the future of the MCU and what does this mean for Marvel's Agents of S.H.I.E.L.D..
You can access the episode at Welcome To Level Seven: The Unofficial Podcast of Marvel's Agents of S.H.I.E.L.D. and the Marvel Cinematic Universe.